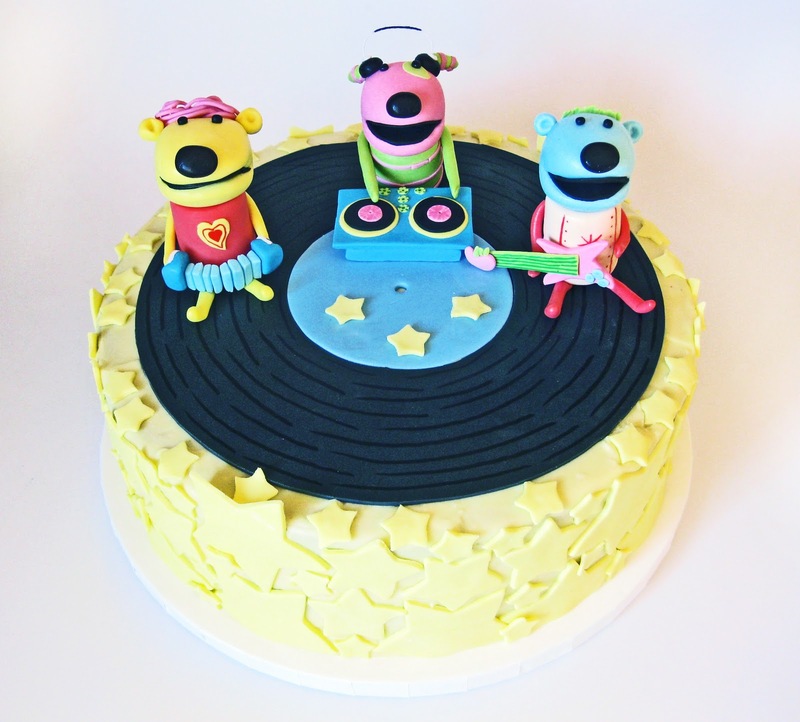 Cake Hero: Jack's Big Music Show - Mel's Super Swell Dance Party Edition! Jack's Big Music Show - Mel's Super Swell Dance Party Edition! 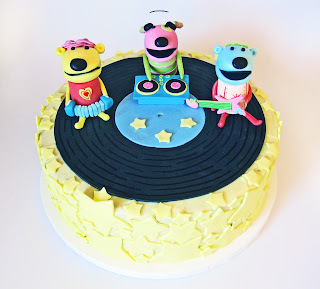 When April ordered a Jack's Big Music Show cake for her son with a specific episode in mind, I was so excited! I looked at tons of pictures and some clips of the episode online and found out that in this specific episode, Mel gets to be a DJ instead of a drummer! So cute. Below you can see the whole cake, and Mel's turn as a super cool DJ spinning tunes for a fun dance party. 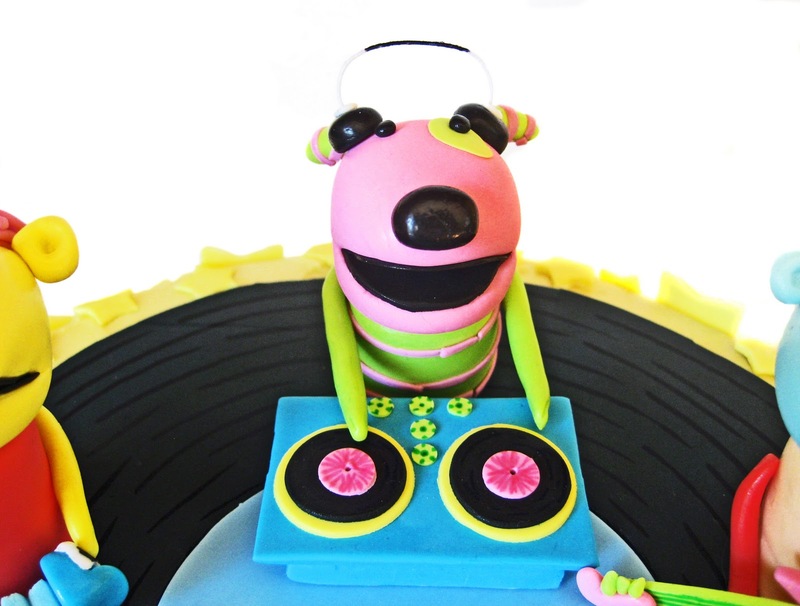 This cake makes me want to eat a DJ. OMG! 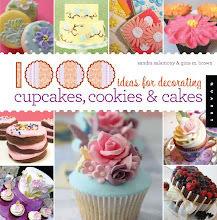 I wouldn't want to eat this ever, it's so cute!